Hi there, it's Tracey here today and I have a card for you that can't say it any clearer! 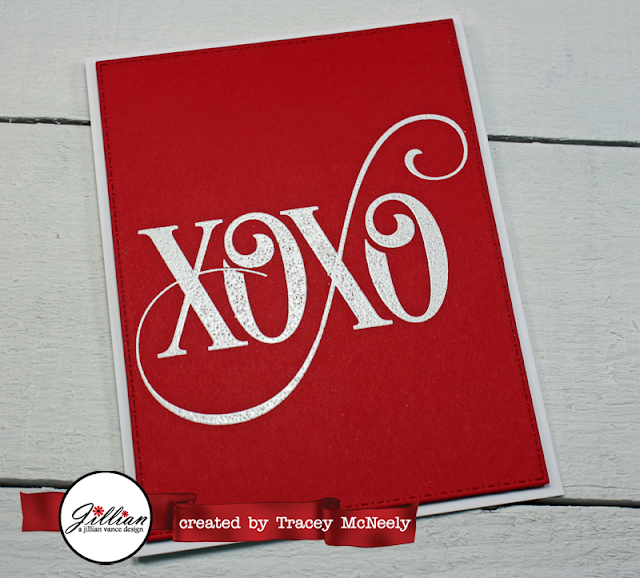 I used the fabulous Big Love Stamp Set to create this full sized white embossed XOXO sentiment! 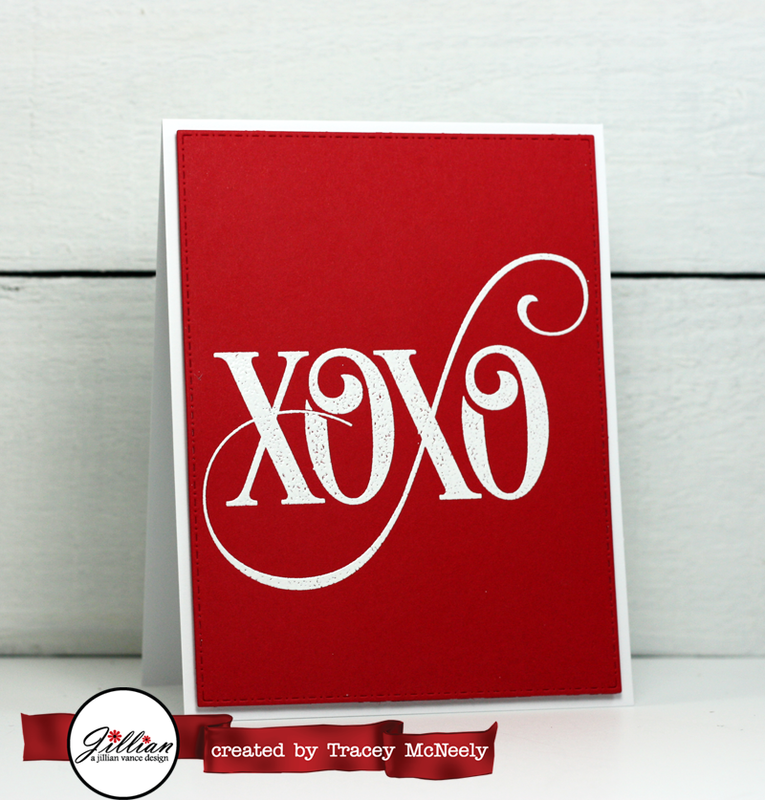 It was embossed onto a red panel that was die cut using the largest die from the Stitched Dot Rectangle Backdrop Die Set! 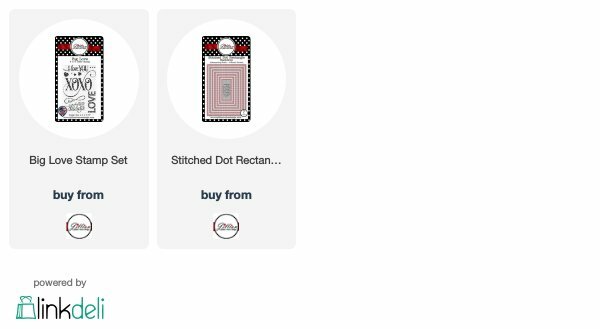 Bold and full of impact your card doesn't need anything else, well except a recipient! As we all know when we are embossing a large area, no matter how good your stamp is, there are times that your powder doesn't melt to fill all the watermarked space perfectly. When that happen just use a white pigment ink pen to fill in any missing spaces after your embossing is dry! I had a tiny spot that I accidentally removed with a dry brush before embossing and this tip did the trick! Oh, I like this Tracey! The flourish on this sentiment is so pretty. Great CAS card!